Making wines for the enjoyment of others has been both a science and a craft at Givich Vineyards since 1989. It is our goal to produce superior fruit-forward wines that accurately reflect their soil, growing conditions and unique varietal composition. 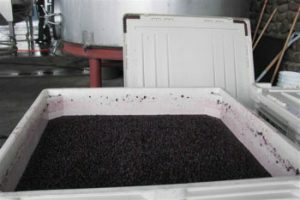 Wine making techniques harken back to the Old world with gentle bin fermentations, hand punch-downs twice daily until fermentation is completed, full malo-lactic fermentations where appropriate and the use of new American oak, French oak or a combination of the two to develop unique flavor profiles. Wines are released only after 20-24 months barrel aging and 90 days initial bottle aging. Red wines will not be filtered to prevent the stripping of essential flavor components; fining will be dependent upon the clarity of the wine. We believe that the flavor complexity of full-bodied red wines is enhanced when grown on hillside vineyards, that encourage the roots of the plant to grow deeply into the soil, and require the fruit to hang on the vines longer before ripening. 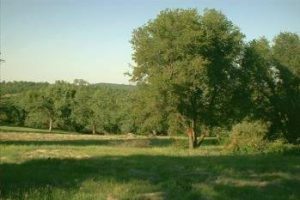 Therefore, the majority of Givich Vineyards fruit is sourced from these hillside vineyards. The resulting wines produced from these excellent grapes are fruity, full-flavored and deeply colored explosions of authentic tastes and aromas. Our wines are carefully crafted with the help of nature’s gifts, rather than manufactured with harsh chemicals and machine processes. Of course, it takes longer and requires more care to create wines in this manner, so the final product sold to the public is always in small limited numbers. Welcome to the world of Givich Vineyards wines.